Dom and Wes, lovingly stolen on Flickr from atomicsherberto. Today sees the UK release of Cherish The Light Years and to celebrate, Cold Cave will be playing in London’s Rough Trade East TONIGHT at 7pm. If you purchase(d) the album from Rough Trade today, you will not only have received a free poster, but also a wristband to guarantee you entry into the show. But fear not ! There will still be wristbands available on the door on a first come first served basis. 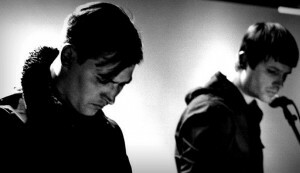 Cold Cave play their final UK show of the tour tomorrow in London before a couple of dates in Europe.